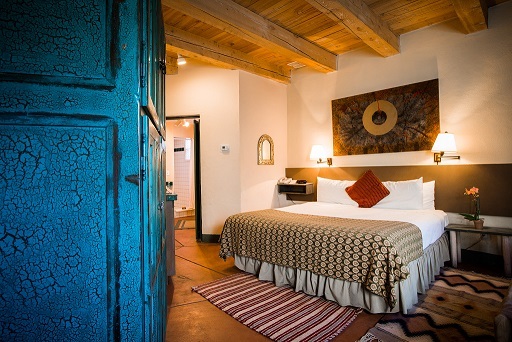 The warmth of the Casita reflects the feeling of historic Santa Fe. 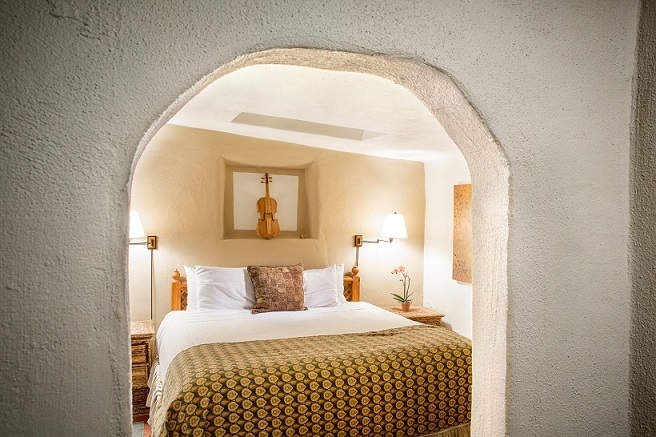 With a plush king size bed in the bedroom, you will have a restful night. Spacious living rooms provide a delightful ambiance. One bedroom casitas also include a kitchenette with all utensils for cooking, and wonderful amenities such as flat screen TVs, Wi-Fi, Deluxe continental breakfast, robes and slippers, mini refrigerator, microwave, coffee maker, iron and ironing boards, hair dryers, complimentary parking and an outdoor entrance.